The looming deadline to reunify parents and children separated at the U.S.-Mexico border is approaching quickly. A federal judge in California ordered the Trump administration to finish reuniting families before the end of this month, but it’s still unclear exactly how the government will accomplish this. Agencies are scrambling to comply — a task complicated by each case’s unique challenges. 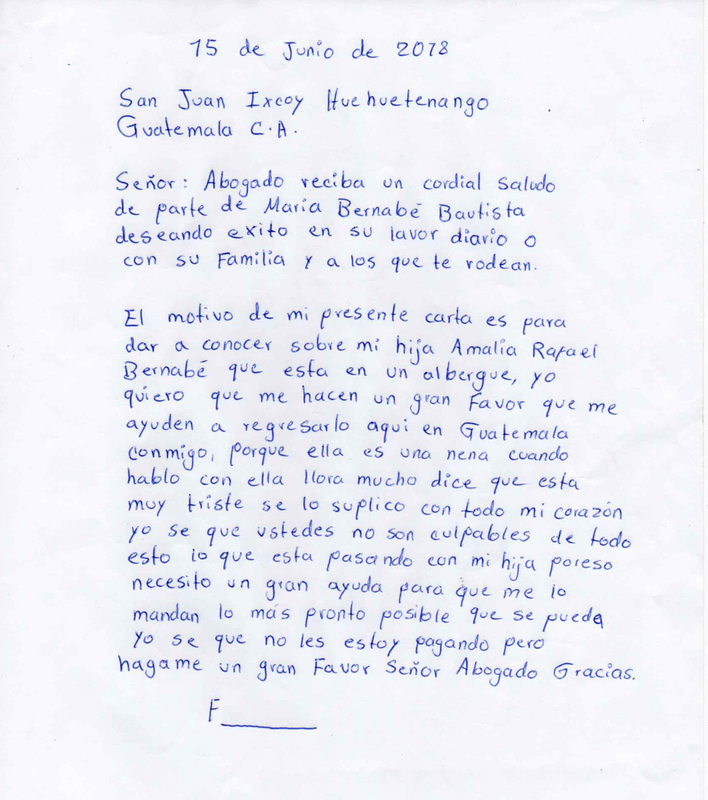 Among those waiting to be reunited are Amalia — a nine-year-old Guatemalan girl — and her father. 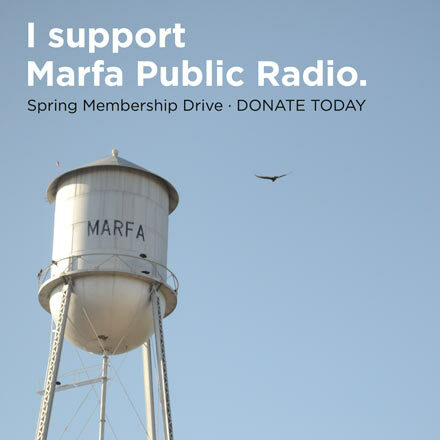 She’s in New York while he’s being detained thousands of miles away, in the West Texas town of Sierra Blanca. Editor’s note: Maria Bernabé Bautista’s quotes have been translated to English. The pair came to the U.S. in early May from San Juan Ixcoy, a rural community in Guatemala. Amalia’s mother, Maria Bernabé Bautista, says her family and many others she knows are barely making it as sustenance farmers. Her husband, Pedro Rafael Velasquez, worked in cotton fields for years, but didn’t make enough to support them and their five children. So the couple saved up for Rafael Velasquez and Amalia to take the journey to the United States. He tried once before and had been deported. But this time, they were optimistic. Rafael Velasquez said he heard that if he came to the United States with a child and showed a need to work, he’d be able to stay. 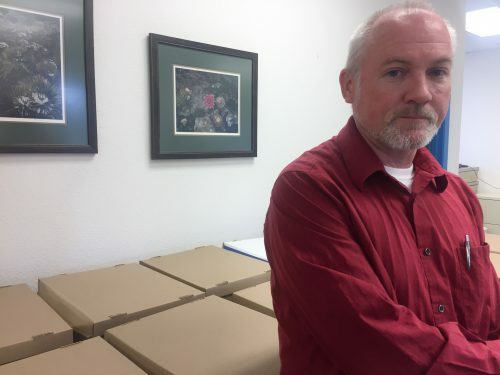 Chris Carlin, a federal public defender for the Western District of Texas, said this is a very common misconception in rural Guatemala. His office is representing Rafael Velasquez. According to Carlin, Amalia and her father were picked up in Presidio quickly after crossing illegally. They were put in a holding cell together. Later that day, Border Patrol agents separated them. Rafael Velasquez called his wife to bear the news. It’s been more than two months since the father and daughter have seen each other. Like some 3,000 children, the nine-year-old was taken into custody by the Office of Refugee Resettlement, a result of the Trump administration’s zero-tolerance policy. Carlin said Rafael Velasquez cried for hours after they were separated, and didn’t know where she was until about a week later, when he talked to his wife again. Because Rafael Velasquez had given agents a family member’s number, they were able to locate Amalia at a shelter in Yonkers, New York. 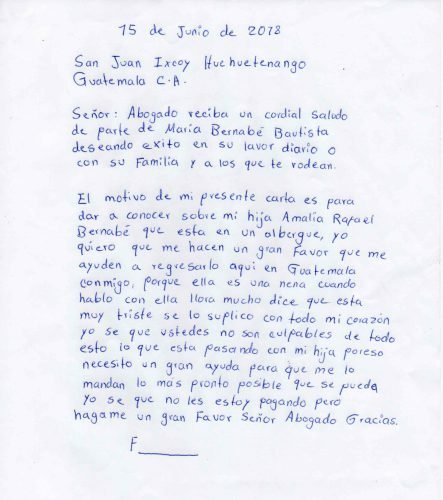 When Maria Bernabé Bautista found out, she wanted to get her daughter back home to Guatemala immediately. She started submitting documents to to her daughter’s caseworker in New York, trying to prove a familial connection. On paper, the government’s deadline to reunite them is July 26. But nearly 3,000 kids were separated from their parents in recent months, and immigration attorneys, like Linda Rivas of El Paso, say reunification is a huge challenge. “The idea is ORR and ICE can and should speak to each other but no one and nothing points to the fact that they have some formal process to where they are communicating working and they have any sort of system,” Rivas said. So the family waits. 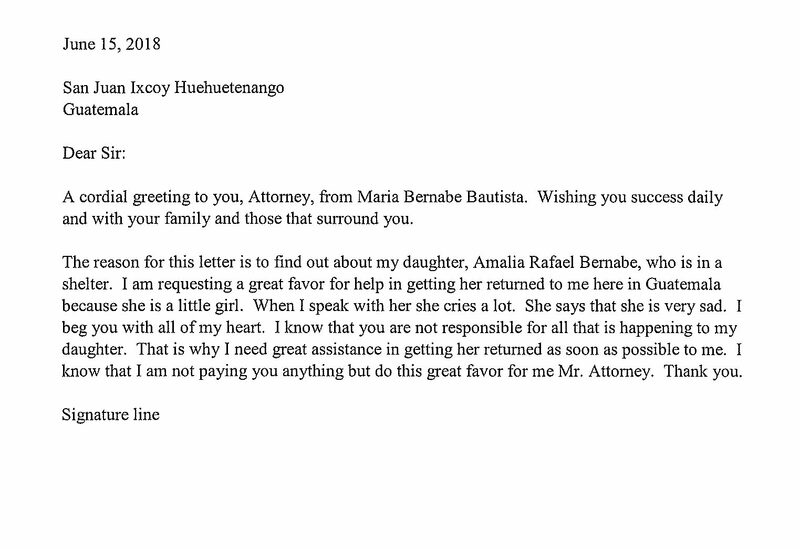 Neither the parents or lawyers know exactly how, or when, Amalia will be able to go back to Guatemala. Just the other day, the public defenders’ office learned she was moved from the shelter in New York to a foster home. Lawyer Chris Carlin said that muddies the water even more, because the nine-year-old might now be subject to more legal proceedings. Amalia’s father awaits sentencing, which is slated to happen toward the end of July. 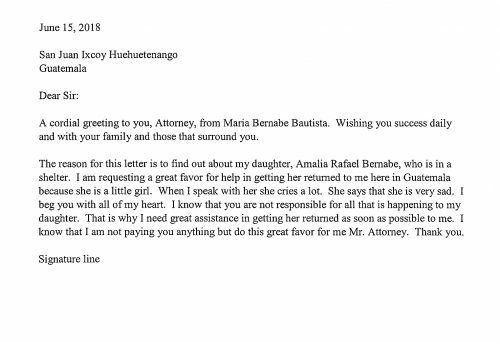 It’s possible that Rafael Velasquez will either get time served and be sent to a family facility with Amalia, or that she’ll be transferred somewhere closer to her father. If either of these outcomes pan out — they might eventually be deported — together. Gabriela Carballo contributed to this report. This entry was posted in KRTS News and tagged Border, Immigration. Bookmark the permalink.